Plumbing is a very sensitive issue that needs to be taken care of. There are many problems regarding the plumbing system. It requires an annual checkup to find out if there is any issue. Most of the times we are ignorant about plumbing problems like water leakage, gas leakage and many more. And as a result of that, we had to face many plumbing related snags that waste our time and money. In these situations, you must give us a call, and we will make sure to fix your problem and ensure your future safety. When it comes to the efficiency and technology, no one can beat us. We have the state-of-art labors that are very efficient, skilled, and professional. We use the most advanced technology to work meticulously. The best part of our technology is that we use a video camera to inspect the matter. We don’t believe in assumption. We believe in perfection. By using that, we detect blockages and effective leaks. We use this technology to be accurate, non-invasive and cost accurate. Apart from all these things, there are many things like inspection of potential homes, inspection of the septic system, retrieving lost items can be done by this technology. So, if you see any signs like discoloration of water, increase in electric bills, increase in gas bills ect., you must contact us as soon as possible. Low water pressure- Many houses experience water pressures. Most of the times it happens due to leakage in the pipe. Our professionals will handle this problem very efficiently. Running toilets- Running toilets is a big reason behind the wastage of water. Around 200 gallons of water gets wasted every day due to running toilets. Leaky pipes- Most of the pipes suffer leakage during winter. Leakages happen in the joints of those pipes most of the time. You must keep an eye on it. If you find any leakage, contact us, and we will fix it. Do it as soon as possible because water damage is very costly, and it will take a lot of time to get fixed. Dripping faucets- Dripping faucet is a widespread problem that we face regularly, and yet we tend to ignore it. It only increases your water usage and your water bills unnecessarily. So, before anything happens, come to us, and we will look after the situation carefully. So, we are indeed the best plumbing company that you will find. 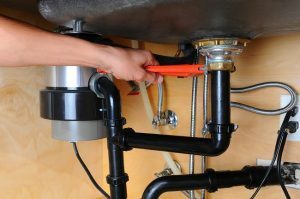 If you can sense any problem about your plumbing system, come to us. Our expert workers will go to at your place, analyze the situation and will fix the issue at the best possible time.